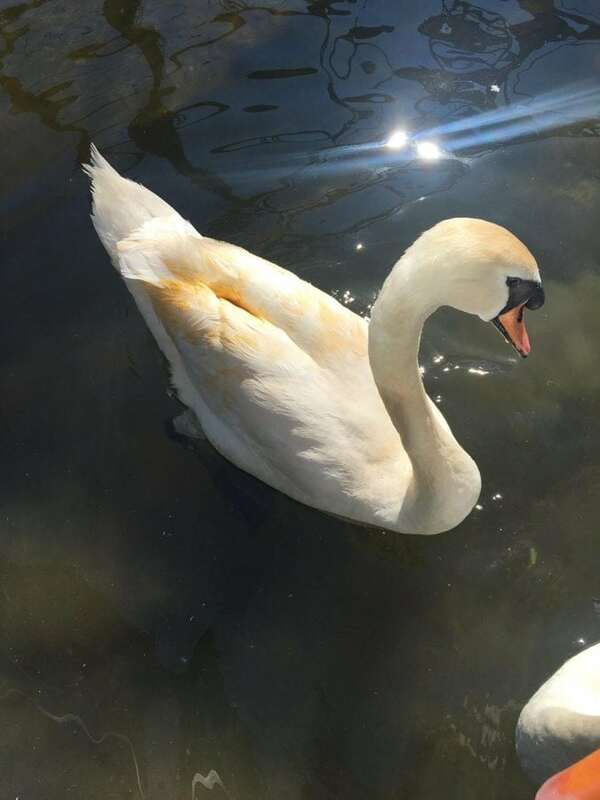 Animal rescuers are fuming after somebody threw an entire tub of curry – on a SWAN. 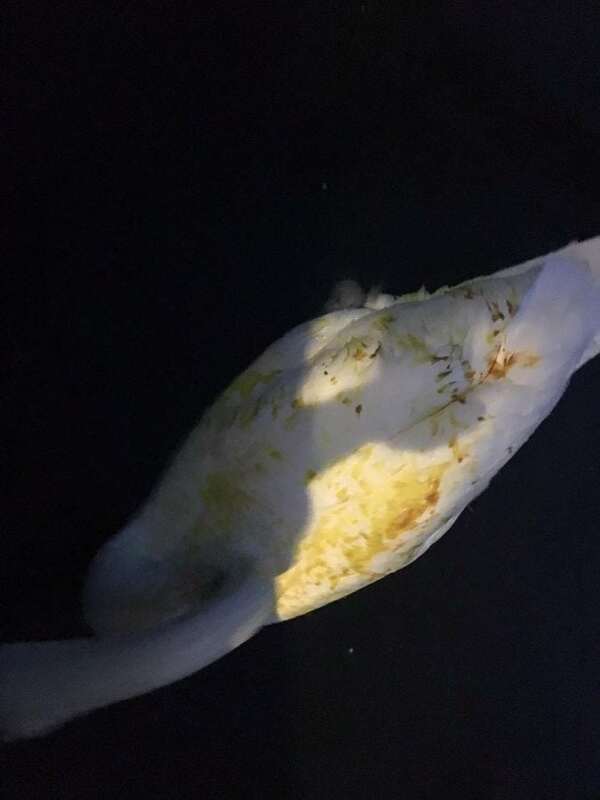 The pure white swan was turned golden yellow after a cruel yob covered him with curry – thought to be a korma. 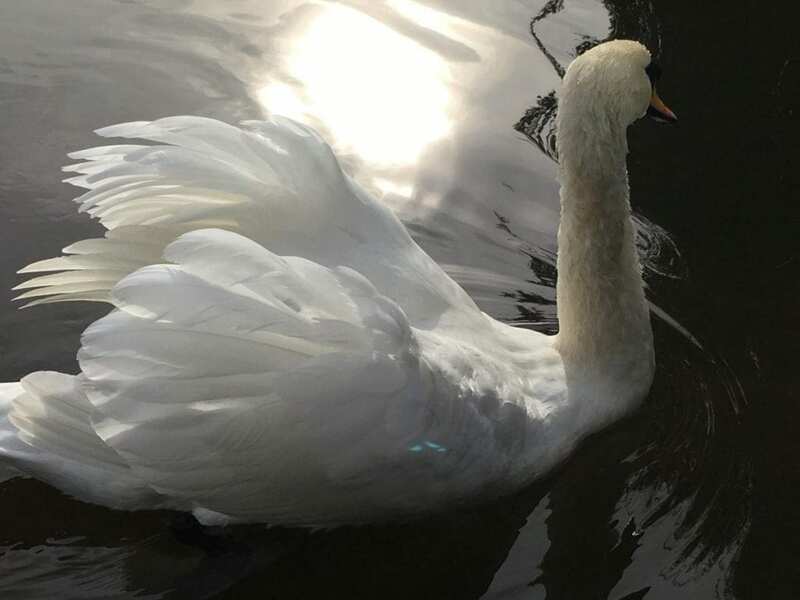 The Swan Sanctuary are appealing for the public to shop bird abusers, after two more swans on the same stretch of the Thames were covered in pink dye earlier this week. Julie Adam, who took the photos at her partner’s houseboat by Swan Island in Twickenham, south west London, said she was “horrified” when she discovered what had happened. The curry-covered swan, is part of a pair in the area who visit the house almost every evening. Graphic designer Julie said: “It is shocking. “They are just gorgeous, intelligent and beautiful birds and have been residents there for 15 years. “They are known as Mr and Mrs Swan around here- go on day trips together and always give our window a knock in the evening. “My partner and I were out last night cycling and when we came back they were at the window. “I opened it to feed them and got such a shock – I was horrified. “Someone had thrown a whole tub of curry over his back – the photos don’t show how bad it was, it was awful. “The poor thing was up all night cleaning himself. Julie, 50, made the awful discovery at about 11pm on Tuesday night and contacted the Swan Sanctuary, which has been trying to clean Mr Swan. Steve Knight, the trustee of the UK Swan Sanctuary in Shepperton, said: “One day we’re rescuing swans covered in pink dye, the next it’s curry. “I just don’t understand people – it beggars belief. “Having it poured on his back would have been very frightening for him. “Curry has turmeric in it which stains quite badly. It will take a long time to wash out- it’s not clothes, it’s a living thing. “We are monitoring him at the moment though and he’s eating at least. On why someone would do this, Steve said he’s “not a psychologist” but that “no one normal would do it”. He added: “I’m lost for word – what goes through their brains? The Swan Sanctuary posted photos of the “thoughtless act” on Facebook. Users slammed the attack, calling the culprit “vile” and “disgusting”. The charity are fearful there’s a Croydon Cat Killer-style attacker targeting the graceful fowl in the area, after two other birds were doused in pink over the weekend. A spokesperson said: “Two swans on the river very close to doused in fluorescent pink paint. “It won’t wash off and they have just malted so the swans have got to remain here for months.